If you suffer with eye pain, irritation, or the discomfort of dry eye syndrome, the staff at Tru I Care & Associates, Inc. will proudly provide for your Franklin, TN, eye care needs. 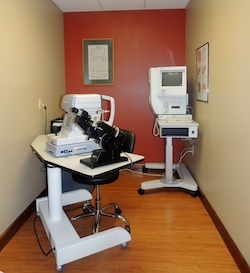 We offer the up-to-date vision care technology that you can trust. With modern advances in eye care practices and procedures, we’ll strive to help you achieve and maintain your eye health. Often, our optical practice is the first line of defense in diagnosing eye conditions and providing prompt treatment. Protect your vision and eye health and call our caring staff of Tru I Care & Associates, Inc. today. We’re committed to providing meticulous Franklin, TN, eye care. Lenses and Frames – Review the variety of lenses and frames available at our Franklin optometrist office. Contact Lenses – A list of options and information about the contact lenses offered at Tru-i-Care. Vision Correction – A brief illustration of some of the most common vision correction services offered at Tru-i-Care. Eye Conditions – Brief descriptions of the various eye conditions we commonly see, diagnose and treat at our office in Franklin, including lazy eye, cataracts and more. Eye Diseases – A quick look at some of the most common eye diseases diagnosed, and often treated, at Tru-i-Care, including pink eye, glaucoma and more. Vision Problems – A concise guide to some of the most common vision problems diagnosed, and often treated, at our Franklin optometric office, including astigmatism, farsightedness and more.